Here is a sharp looking, and rare truck. Emblem removed. Thanks to Bill White and George Murphey for this photo. George also colored this photo. I'll go along with Don MacKenzie-a small Autocar. It's unanimous for Autocar. 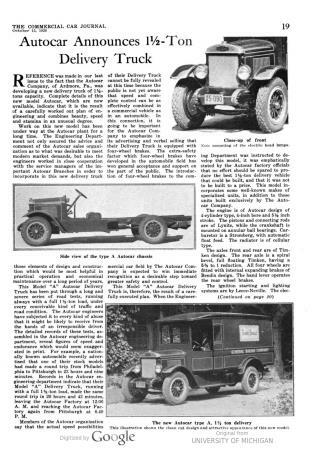 This is a very rare Autocar 1-1/2 to 2 ton Model A, introduced in late 1926 for the 1927 model year. 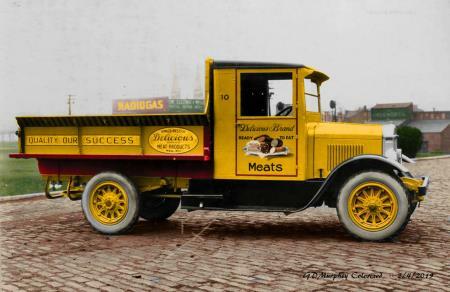 This was the smallest conventional truck that Autocar built, and it was only made for one year. Bill White and George Murphey went to great efforts to identify this truck after it was posted to Facebook by Larry Zeigler a few months ago. I never realized Autocar built a conventional model this small. Don MacKenzie had this first. Thank to Bill and George for the photo, and also the CCJ article introducing this model from September 1926. 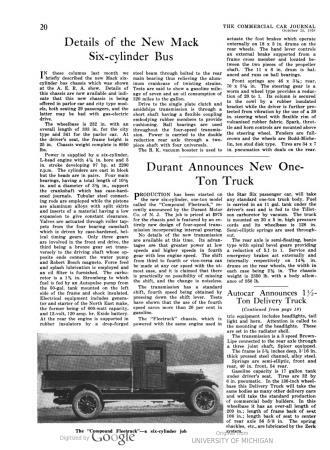 Jeff and all -- it should be noted that the A model announced in 1926 was the first "engine forward" or "conventional" cab type made by Autocar. This model was only made in 1927. Credit for identifying this belongs to Bill White and Andy Vecchio, I only dug up the "proofs" from the CCJ to back up their conjecture. As for the B&W picture provided by Larry Zeigler, I have a PM out to him via FB. I don't think he knows that he has what may be the only B&W pic of an Autocar Model A other than the few from the CCJ.